Did you know Baking Powder (Baking Soda is aluminum free ) contains aluminum unless otherwise stated on the container it is sold in? This is what gives some baked goods a tinny taste. Why You Should Use Aluminum-Free Baking Powder by David Lebovitz is an informative article on avoiding aluminum in baking powder. 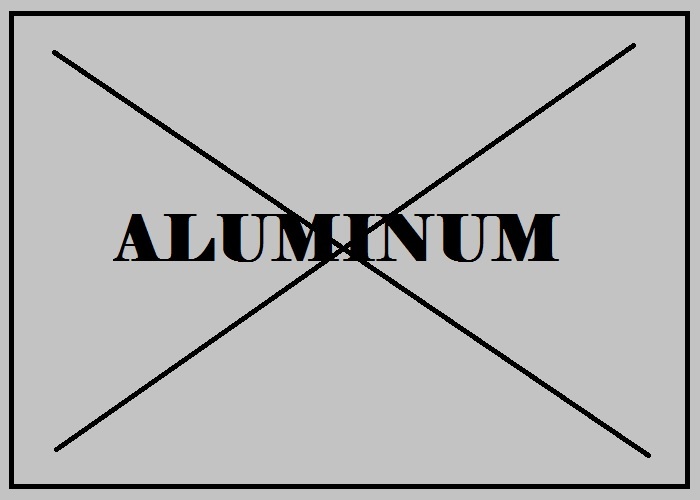 Aluminum is toxic in food. Aluminum can be absorbed through the skin through deodorants and lotions. I had no idea. Thanks for the heads-up. I also had no idea until I recently read a post in a blog written by a mother trying to feed her family right. I believe the blog is called Wellness Mama and I will be featuring her and linking back to her one day this winter. Thanks for the comment. Since I never have cream of tartar on hand, haven’t used it in years, I purchase Rumford, aluminum free baking powder. Heck, I would pay as much for the cream of tartar as the powder so it’s more economical (at wally world) going this route. For me…it opened up my eyes to be more aware of what I am eating and what is in my pantry. Unfortunately, there are so many adulterations made to our food sources – chemicals added because it’s economical and gives the food manufacturers higher profits.You would think the FDA would monitor this more closely but I sometimes suspect there is a quid pro quo going on. I am finding so many blogs providing great ways to educate us on what we are putting into our bodies and how to change that. This is another great one. I admit that I do mine the lazy way and buy mine aluminum free. Thanks Donna, every little change has to add up to better health. You are welcome…thanks for the comment. I love wellness mama! I’ve been buying Rumford for a while. I have been working on eating clean the past 6mos-year…. Thank you so much, and thanks for stopping by my blog today.